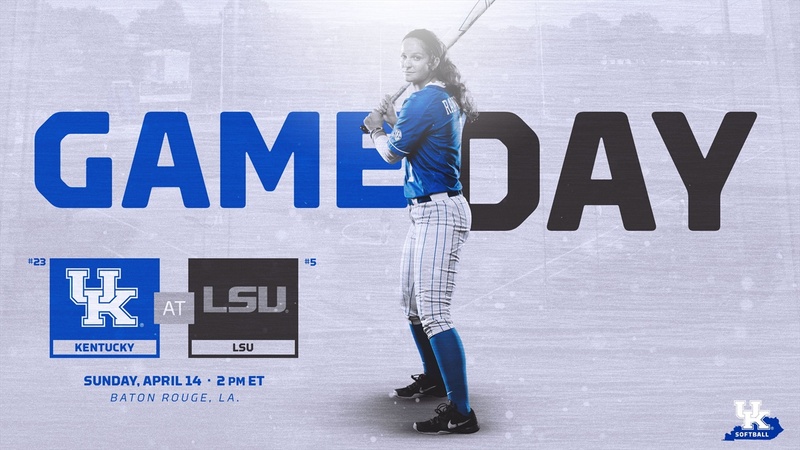 Kentucky faced off against LSU in the rubber match of their three-game series on Sunday afternoon looking to take two of three from the fifth ranked Tigers. Despite a solid performance from the Cats, three late runs from the Tigers tipped the series in favor of LSU with a 5-2 victory. LSU opened the scoring in the bottom of the first with a two-run home run by Shemiah Sanchez, (LSU 2, UK 0). The Cats would not be intimdated and came right back with a run in the top of the seocnd inning an an RBI single from Autum Humes to cut the lead in half. Abbey Cheek would then step up in the top of the third inning and tie the game with a solo home run to left center, (LSU 2, UK 2). The scoring would stop until the sixth inning when Sanchez hit her second two-run home run of the game to extend the LSU lead to two. Elyse Thornhill would then come to the plate and hit a solo home run of her own to give the Tigers a 5-2 lead, and the victory. Kentucky sits at 26-17 (9-9) on the season and will travel to Louisville on Wednesday night to take on their in-state rival Louisville Cardinals in the Battle of the Bluegrass at 6:00 p.m. ET.